Your 1997-2004 C5 Corvette’s trunk can come loose and make your seal ineffective, giving you debris buildup over the years from falling leaves and branches, as well as possible tearing from it hanging loose and getting caught when you close the trunk door. At this point, you’re just keeping a useless rubber seal in your trunk for absolutely no good reason. Throw that irritating piece of rubber away, and Order a new trunk seal kit for your Vette, so you can save a lot of your personal items from being destroyed. 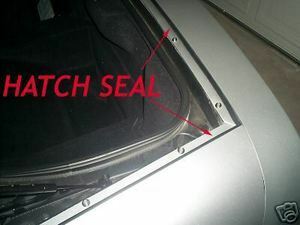 A new tight seal will give you the assurance that nothing will enter that trunk that you don’t put in there yourself. Installation is easy by fitting your seal to the body of the trunk on your C5 Corvette. Everyone loves no-hassle installations. EPDM GM D-profile auto-grade seal for 1997-2004 C5 trunk. 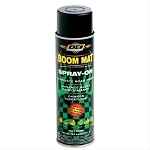 Eliminates Debris by closing gap from misaligned, or missing trunk seal.